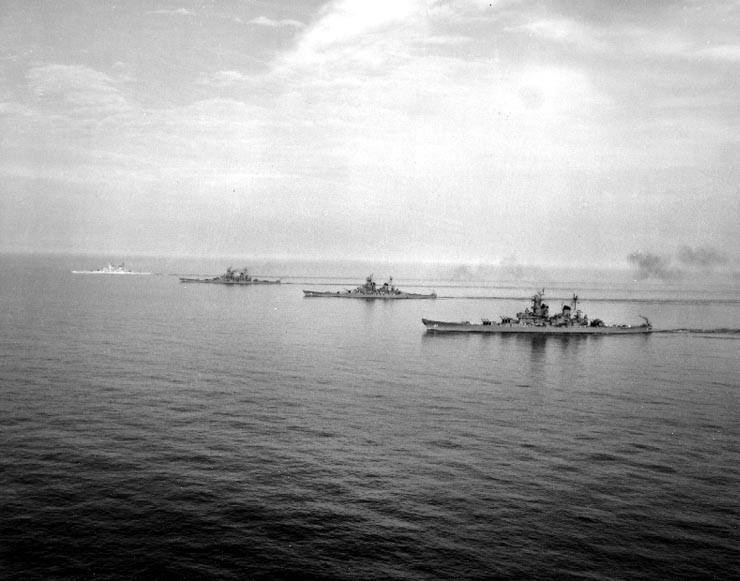 All four of the Iowa class battleships together. This is the only time this ever happened. Cool stuff. Wish I would've had a camera earlier on in my Navy Career and taken a bunch more pics! 1958 if I remember correctly. Iowa and New Jersey went back to Norfolk after the picture, while Wisconsin and Missouri went to their separate destinations in Europe with midshipmen from Canoe University for their summer midshipmen's cruise.